Buffalo Raceway is a harness race track just south of Buffalo, NY. It has a 1/2 mile harness track that was resurfaced in 2010. Hamburg, New York resident James J. Dunnigan opened the doors of Buffalo Raceway in June of 1942, shortly after New York State passed a bill allowing pari-mutuel harness racing.He selected the Erie County Fairgrounds in Hamburg as the site of his venture. The Fairgrounds had a half mile race track and grandstand in place for its Fair activities and, being only 14 miles from downtown Buffalo, provided an excellent location. Racing was very competitive and area residents welcomed a new sport to Western New York. Crowds of eight to ten thousand were often in attendance. Insufficient supply of local horsemen and horses caused many Canadian stables to arrive in Hamburg, along with stables from as far away as California. A number of world records were broken at the Raceway during its early years including the opening year effort of Dazzle Direct and driver Douglas Harvey in setting the standard for the three quarter mile distance of 1:30 1/2 for aged pacers. This record was not surpassed for two decades. Sixty-three years later the Raceway remains at the Fairgrounds. During the 1944 season, the trotter Wee Laird equaled the half mile track world record of 1:32 for the distance of three quarters of a mile. This record also stood for over two decades. Locally owned, Wee Laird remained in Western New York and became a prolific stallion. Many of our current horses bloodlines can be traced to him. Trotting mare Proximity is probably the best known of Buffalo Raceway horses during the 1940's. Owned by Ralph and Gordon Verhurst of Victor, N. Y. Proximity was a consistent free-for-all class winner and also raced at other tracks in America and Canada, frequently winning and bringing credibility to the product of the Hamburg oval. The Raceway had 70 race programs per year during the early days and most frequently raced from mid May until August. With Batavia Downs open for mid-summer and early Fall racing, local fans had the opportunity of viewing racing for six months per year. Through the 1940's, Buffalo Raceway improved the facility with the addition of new barns and a modern clubhouse. James Dunnigan became a local public figure and involved himself in local charities. Continued growth of attendance and mutuel handle made the 1950's a decade of success at the Raceway. In 1955, Roadmaster, trained and driven by Ohio horseman Chester Fleure set a new track record of 2:00 4/5. In 1957, Assistant Race Secretary Paul Keim convinced the Reynolds Tobacco family of Winston-Salem, N. C., to move their W. N. Reynolds 2 and 3 year old stake races to the Hamburg oval. This series, which remained in Hamburg for thirty years, provided the local fans an opportunity to see the the nation's best colts and fillies each year. Buffalo Raceway had become a harness racing fixture with the start of the 1960's and was considered one of the top ten tracks in America.Efforts were made to upgrade the racing plant with additional new barns along with the construction of a new paddock area. A second grandstand and administration building were also completed. The all time attendance record of 12,779 was established July 15, 1966 when the top horse of the era, Bret Hanover, was victorious in a stake race. The New York Sires Stakes, a series of state wide 2 and 3 year races for New York bred horses, made their debut at the raceway in 1961. This stake series remains a part of the current raceway program. Dunnigan invested heavily in a new harness track in Phoenix, Arizona during the early 1960's. When this venture failed, he was forced to sell Buffalo Raceway to new ownership, and in 1966 the Sportservice Corporation began their continued racing interest. A new stone dust surfaced racing strip allowed Buffalo to begin a winter racing in December of 1971. An all new clubhouse was opened at that time and the original grandstand was glass enclosed to create cold weather patron comfort. July 8, 1972, an all star racing card highlighted by a Reynolds Stake victory by Albatross in 1:57 4/5, established the all time raceway mutuel handle record of $602,821. Off-Track betting became a reality in New York State in the 1970's. 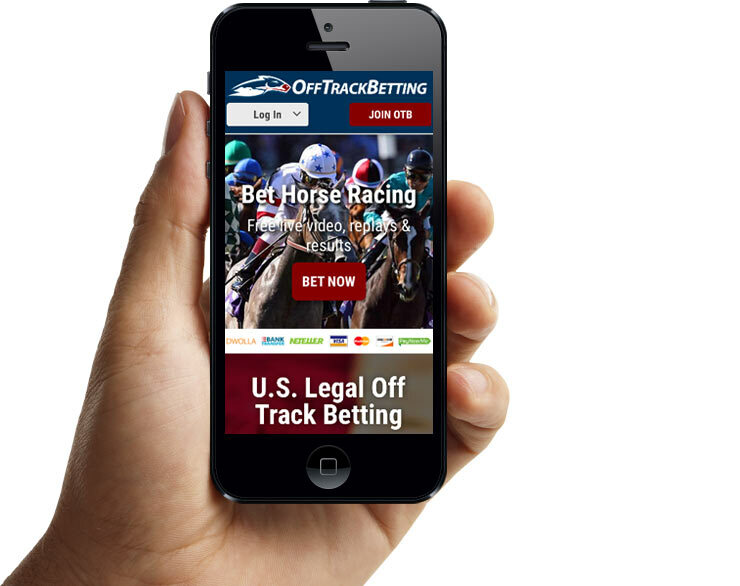 Allowing wagering in shops in the area of racetracks, OTB helped to create a new source of mutuel handle but also signaled the beginning of declines in on-track attendance and handle. In the past two decades, raceway management has worked to keep up with national trends in racing and changing patterns in wagering. Early as the mid 1980's, Buffalo Raceway experimented with simulcast racing, and today offers full card simulcast racing from major harness tracks along with full card thoroughbred simulcasts. Buffalo Raceway also sends out a simulcast signal which allows wagering on our own live racing for fans across the country. To insure the quality of our own racing, management also realized the necessity to keep our facility up to par. Several new barns have been erected and several racing strip renovations, including the banking of the entire track along with the changing of the curve of the turns, have created faster and safer races. The wooden hub rail has been replaced by Pylons, and a passing lane added. In 1990, Buffalo Raceway was purchased by the Erie County Agricultural Society from Sportservice Corporation. The society has intensified the program to keep the raceway as a quality harness facility and major economic contributor to the Western New York area. Fairgrounds Gaming opened in March 2004 to rave reviews. With over 900 Video Gaming Machines (VGM) customers had more ways to win. A portion of each dollar from the VGM's is designated for purses and education. For the 2010 racing season over $250,000 was spent on improvements. The 1/2 mile track was resurfaces with over 600 tons of material, in October. The Clubhouse had extensive renovations that included new carpet, paint and flat screen televisions. Fairgrounds Gaming moved into a new state of the art building and became known as Hamburg Casino in August of 2010. The original tote board was retrofitted with LED digits for the 2011 season. Prior to the 2012 three new horse barns were built completing the second phase of backstretch improvements. Also launched for the 2012 season was Raceway Player Rewards providing bettors 2% back on their wagers. The completion of the backstretch occured for the 2013 season with 2 more barns built along with paving around the barn area. Also in 2013 a state of the art video system was installed by International Sound Corporation, along with renovations to the enclosed grandstand. Space is not available to mention everyone who has been associated with Buffalo Raceway during its sixty plus year history. An estimated thirty thousand horses have competed here along with over four thousand trainers and drivers. Although some of these horses, trainers and drivers became well known to raceway fans, the lesser known horses and horsemen were also a vital part of our racing over the years. Backstretch personnel such as grooms, blacksmiths, veterinarians, feedmen, harness shop owners, track crews, carpenters, electricians, plumbers, and manure removal crews have all been necessary to put on programs of racing year after year. The show could not go on without the judges and starters who have been at the raceway through the auspices of the New York State Racing and Wagering Board. Buffalo Raceway itself has employed several thousand people in such departments as administration, racing office, publicity, programs, security, parking, food service, mutuels; totalizator, T V, sound, cleaning who have helped to "put on the show" each race day. Most important, of course, are the loyal fans who have supported Buffalo Raceway since 1942 and a new generation of fans to be excited and entertained well into the next century.